On this stop we were able to cross off a long-time bucket list item! 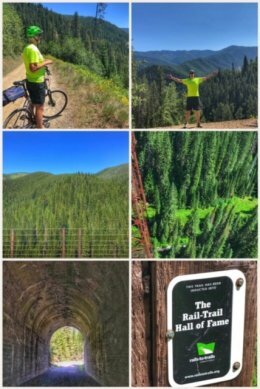 We rode the entire length (down, then up) of the 15-mile Route of the Hiawatha, a hall-of-fame rail-trail experience through parts of the spectacular Idaho Panhandle National Forests. You can simply ride down the rail-trail and take a shuttle bus back to your vehicle, but we gutted it out and were quite happy with the 31.4 miles we biked that day! The Route of the Hiawatha follows just a portion of the 46 miles that the old Milwaukee Railroad line through the Bitterroot Mountains. This section is famous because railroad crews evacuated (and saved the lives of) residents whose tiny rail-line towns were overcome by the immense wildfires of the Big Burn, back in August of 1910. The trail takes it name from the Hiawatha fleet of trains that the Milwaukee Railroad operated; those trains took their name from the Henry Wadsworth Longfellow poem, The Song of the Hiawatha. 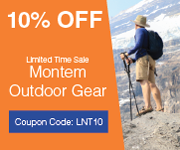 The biking adventure starts at Lookout Mountain (Exit 0 at the Idaho-Montana border), where you purchase tickets and any accessories you don’t have but need to ride the trail (including bike helmets and lights). From here, you drive into Montana (Exit 5) and follow the signs. Instructions say to go to the East Portal for the trail, which was our mistake; we wanted to bike up and then ride down. The bike ride begins with the dark and dank 1.7-mile Taft Tunnel (under St. Paul Pass), which was built in 1908. About halfway through, you will cross from Montana back into Idaho. At the end of the tunnel, you continue on a shared road to the Moss Creek Trailhead, where the rail-trail adventure really begins — going through 7 more tunnels and over 7 beautiful trestles along a gentle 2-percent grade. Along the way, you can stop and read about the history of the railroad, how the trestles were built, and much more. Once completed, you will have gone from a starting elevation of 4,147 feet down to an elevation of 3,180 feet. 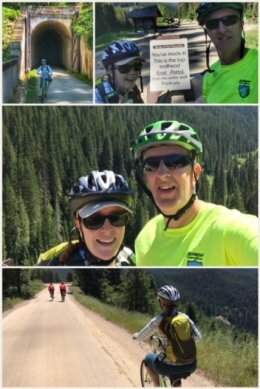 If you are seeking even more mileage, don’t drive to the East Portal; instead, you can add 10 more miles to your ride by jumping on the old Northern Pacific railroad grade at Lookout Pass and riding to the Taft Site (elevation 3,630 feet). 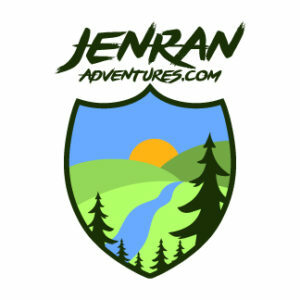 Along the way, you’ll cross the St. Regis River three times, pass through one tunnel, and go under Interstate 90 twice. From Taft, the trail rises gently at about a 2.1% grade for 2 miles up to the East Portal. 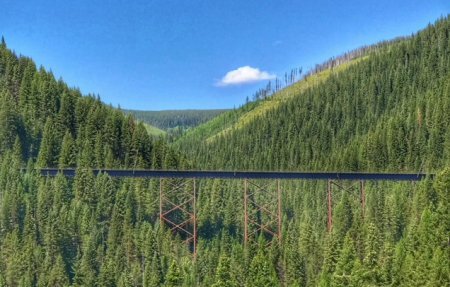 Finally, you can add even more to your experience by riding parts of the remaining 30 miles into St. Regis, Montana, through the Lolo National Forest. The entire trail system is called the Route of the Olympian, though parts are still under restoration. The trail is open, typically, from mid-May to mid-September. Learn more at RideTheHiawatha.com. Previous Post:Stop 37: We Beat Amazon in Finding our New Headquarters!